Actress Rosemary Leach, best known for her roles in the films A Room With A View and That'll Be The Day, has died, her agent has said. Leach, who also played Grace in episodes of the sitcom My Family, died in hospital after a "short illness", Caroline de Wolfe said in a statement. 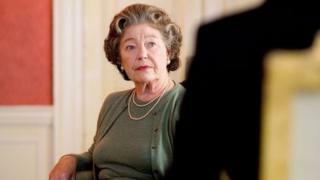 The stage and screen actress, 81, won an Olivier Award in 1982 for her part in the play 84 Charing Cross Road. She was also twice nominated for a Bafta award as best supporting actress. Leach is survived by her actor husband, Colin Starkey.